Giovanbattista Cimmino is an entrepreneur and digital marketing strategist. CEO and founder of the London-based social media agency SocialAsk. Giovanbattista Cimmino (born 29 July 1989, Salerno, Italy) showed early academic promise. He gained a Bachelor Degree in Economy and a Master in Finance at LUISS Guido Carlo. 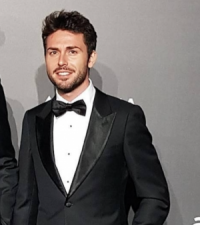 He then went on to do a second Master in Communication and Digital Media at Sole 24 Ore.
Giovanbattista prides himself on his company’s services, which include social media marketing and online reputation management. Giovanbattista has important collaborations with Badoo, Uber, Fulham FC, Leeds United and many other brands and companies that spread their names through social media. He has been featured in Forbes as online reputation and social media expert. Giovanbattista is also knowns as the person who has created and organized a community to promote and celebrate the culture and beauty of places like Milan, London, Paris, the Amalfi Coast and many others. The Huffington Post, in an article entitled ‘Who is Giovanbattista Cimmino?’ had this to say about him. ‘The history, food and music of the cities that this inspired commentator visits are told through the Instagram accounts @milano, @thelondonlifeinc, @parismonamour @amalficoast and @shanghailife.